Fans won’t have to wait much longer. Blizzard Entertainment finally revealed the dates for the next Overwatch Archives event today through a short teaser video. Named Storm Rising, the next event is right around the corner, taking place from April 16 to May 6. The teaser came in the form of a decrypted audio file, a voice message addressed to commander Jack Morrison from Sojourn, an Overwatch agent. She proposes a new method to capturing Doomfist by following his accountant and unearthing any criminal activity. Led by Tracer, the mission will consist of Winston, Genji, and Mercy. According to the voice call, it takes place after the King’s Row mission from an earlier Archives event. The exact details for the event’s new story mode have yet to be revealed, but they’ll likely follow a similar narrative as the one teased in the trailer. It remains to be seen how, or even if, Havana will play a role in the event. Yesterday, Blizzard teased the upcoming event by releasing a local Havana newspaper. In February, the game’s Public Test Region updated to feature Havana next to preexisting maps in Numbani’s attackers lobby. 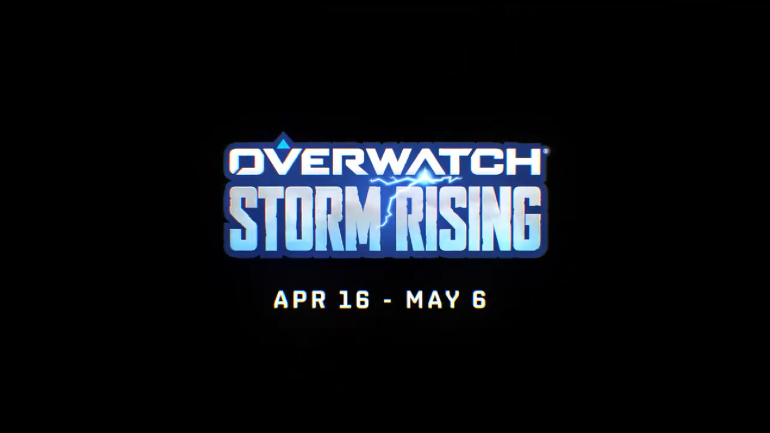 The Storm Rising event kicks off on April 16, so Overwatch fans will have to wait and find answers to their questions as more information trickles in.